Are you a Landlord in Walsall thinking of letting out your property? then you certainly need to speak to K2 Properties as we could be your ideal property lettings agent. One of our specialist letting advisers will provide you with a list of other local properties that are for rent in Walsall to give you a good idea of what rent you could achieve in todays current market. K2 Properties take great pride in the reputation we have built up over the years for providing not only good quality property rentals in Walsall but also a high quality tenant to go with it. We do a complete background and reference check before any tenant is able to move in, this includes previous landlord references, credit checks and any employers references. Our team of fully trained letting agents will keep you fully informed throughout the whole process and we will also follow the tenancy negotiation right through to the completion to ensure that your property is in perfectly safe hands. Not only do K2 Properties take care of marketing your property rental in Walsall, we also find the most suited tenant for your property as we also ensure that your rent payment is paid to you in full and on time. During the course of the tenancy we will make several property inspections to ensure that your property is being kept to the exact same standards as when you handed it over to us. As the tenancy draws closer to ending we will complete a thorough inspection and will ensure that any cleaning or repairs that are necessary are taken care of and deducted from the deposit that the tenant paid. K2 Properties have worked with several good and reliable local contractors over the years who will make sure any repairs or improvements are completed to the highest standards. Rent valuation – a free and realistic rental assessment of your property. Let boards – bright and inviting let boards to encourage prospective tenants. Accompanied viewings – all viewings will be accompanied to ensure the safety and protection of your property. Fully referenced tenants – full reference checks to ensure tenant suitability. Marketing of property – through the use of internet property services, local advertising, direct mail, display of printed property details. 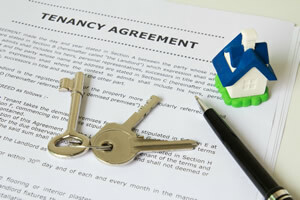 Comprehensive tenancy agreements – the preparation of tenancy agreements fully in line with current legislation. Gas and EPC certificates – we are able to organise full gas and EPC certification in line with legislation using reputable contractors. Rents and deposit collection – all rental payments and deposits will be administered efficiently and accurately. Accurate monthly statements – detailing the collected rental income and details of any agreed maintenance costs. Direct Payments – all payments received for you will be directly transferred to your bank account. We undertake full property renovations, and we can help you with architect & planning permission. Being landlords ourselves, we know what you want & need and will cater to your requirements. K2 Properties are a Walsall based letting agent providing quality houses, flats, apartments and commercial buildings for short and long term rental. ©Copyright 2015 K2 Properties. All Rights Reserved.